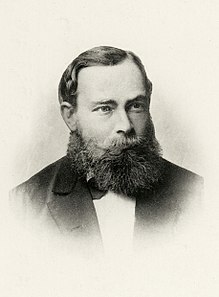 Frege studied at a grammar school in Wismar and graduated in 1869. His teacher Gustav Adolf Leo Sachse (5 November 1843 – 1 September 1909), who was a poet, played the most important role in determining Frege's future scientific career, encouraging him to continue his studies at the University of Jena. A frequently noted example is that Aristotle's logic is unable to represent mathematical statements like Euclid's theorem, a fundamental statement of number theory that there are an infinite number of prime numbers. Frege's "conceptual notation", however, can represent such inferences. The analysis of logical concepts and the machinery of formalization that is essential to Principia Mathematica (3 vols., 1910–13) (by Bertrand Russell, 1872–1970, and Alfred North Whitehead, 1861–1947), to Russell's theory of descriptions, to Kurt Gödel's (1906–78) incompleteness theorems, and to Alfred Tarski's (1901–83) theory of truth, is ultimately due to Frege. Frege's published philosophical writings were of a very technical nature and divorced from practical issues, so much so that Frege scholar Dummett expresses his "shock to discover, while reading Frege's diary, that his hero was an anti-Semite." After the German Revolution of 1918–19 his political opinions became more radical. In the last year of his life, at the age of 76, his diary contains extreme right-wing political opinions, opposing the parliamentary system, democrats, liberals, Catholics, the French and Jews, who he thought ought to be deprived of political rights and, preferably, expelled from Germany. Frege confided "that he had once thought of himself as a liberal and was an admirer of Bismarck", but then sympathized with General Ludendorff. Some interpretations have been written about that time. The diary contains a critique of universal suffrage and socialism. Frege had friendly relations with Jews in real life: among his students was Gershom Scholem, who greatly valued his teaching, and it was he who encouraged Ludwig Wittgenstein to leave for England in order to study with Bertrand Russell. The 1924 diary was published posthumously in 1994. Frege apparently never spoke in public about his political viewpoints. Frege was described by his students as a highly introverted person, seldom entering into dialogues with others and mostly facing the blackboard while lecturing. He was, however, known to occasionally show wit and even bitter sarcasm during his classes. ^ Hans Sluga, "Frege's alleged realism," Inquiry 20 (1–4):227–242 (1977). ^ a b Michael Resnik, "II. Frege as Idealist and then Realist," Inquiry 22 (1–4):350–357 (1979). ^ Tom Rockmore, On Foundationalism: A Strategy for Metaphysical Realism, Rowman & Littlefield, 2004, p. 111. ^ Frege criticized direct realism in his "Über Sinn und Bedeutung" (see Samuel Lebens, Bertrand Russell and the Nature of Propositions: A History and Defence of the Multiple Relation Theory of Judgement, Routledge, 2017, p. 34). ^ a b Truth – Internet Encyclopedia of Philosophy; The Deflationary Theory of Truth (Stanford Encyclopedia of Philosophy). ^ Willard Van Orman Quine, introduction to "Bausteine der mathematischen Logik", pp. 305–316. Translated by Stefan Bauer-Mengelberg as "On the building blocks of mathematical logic" in Jean van Heijenoort (1967), A Source Book in Mathematical Logic, 1879–1931. Harvard University Press, pp. 355–66. ^ Hans Sluga (1980), Gottlob Frege, Routledge, pp. 53ff. ^ Gottfried Gabriel, "Frege, Lotze, and the Continental Roots of Early Analytic Philosophy," in: Erich H. Reck (ed.). From Frege to Wittgenstein: Perspectives on Early Analytic Philosophy, Oxford University Press, 2002, pp. 39–51, esp. 44–48. ^ Tom Ricketts, Michael Potter, The Cambridge Companion to Frege, Cambridge University Press, 2010, p. 179. ^ Sundholm, B. G., "When, and why, did Frege read Bolzano? ", LOGICA Yearbook 1999, 164–174 (2000). ^ Lothar Kreiser, Gottlob Frege: Leben - Werk - Zeit, Felix Meiner Verlag, 2013, p. 11. ^ Arndt Richter, "Ahnenliste des Mathematikers Gottlob Frege, 1848-1925"
^ Burgess, John (2005). Fixing Frege. ISBN 978-0-691-12231-1. ^ Hersh, Reuben, What Is Mathematics, Really? (Oxford University Press, 1997), p. 241. ^ Hans Sluga: Heidegger's Crisis: Philosophy and Politics in Nazi Germany, pp. 99ff. Sluga's source was an article by Eckart Menzler-Trott: "Ich wünsch die Wahrheit und nichts als die Wahrheit: Das politische Testament des deutschen Mathematikers und Logikers Gottlob Frege". In: Forum, vol. 36, no. 432, 20 December 1989, pp. 68–79. ^ "Frege, Gottlob – Internet Encyclopedia of Philosophy". ^ Frege's Lectures on Logic, ed. by Erich H. Reck and Steve Awodey, Open Court Publishing, 2004, pp. 18–26. ^ Festschrift Ludwig Boltzmann gewidmet zum sechzigsten geburtstage 20. Februar 1904. Mit einem portrait, 101 abbildungen im text und 2 tafeln. Leipzig, J.A. Barth. 1904.